The Australian retail guide to moving to the cloud. 73% of Australian retailers will be growing their business with a cloud-based POS solution by 2018. Don’t get left behind. The step-by-step method to successfully move to the cloud. Key insights from top merchants and cloud integrators on how to scale and thrive in today’s modern retail environment. Cloud migration action plan to set up your retail business for future success. See how Australia’s best retailers like Jurlique are moving to the cloud with Vend. Everything you need to know about future‑proofing your business in the cloud. Learn from one of the world’s top retail authors. Francesca Nicasio is a retail expert from the award‑winning POS software company Vend. She is dedicated to writing about trends and tips that help retailers increase sales and serve customers better. Francesca has written for many of the world’s leading retail publications including Retail Customer Experience and Street Fight. A retail expert followed by nearly 200,000 people on Linkedin. 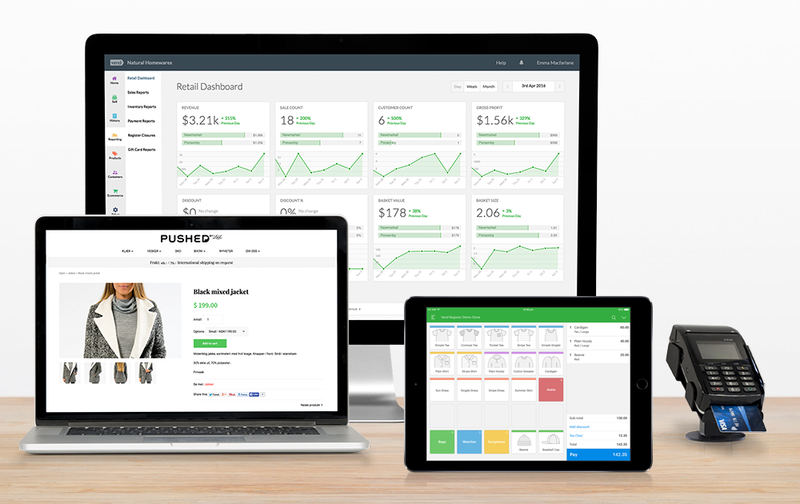 Presented by Vend, the one system for retail success for 1 store to 100. Get the free retail guide for moving to the cloud. Future proof and grow your business. Continue your path to retail success in one click, no tricks. Vend’s Australian Guide to Moving to the Cloud is ideal for multi–store retailers who want to switch to a cloud–based retail management system. If you currently have a legacy retail solution and are looking to switch to something better, then this guide is a must–read. This guide is chock full of insights, pointers, and recommendations for migrating to a cloud retail management system. It tackles everything from researching and selecting vendors to aligning different departments and implementing the solution across multiple stores. To make this guide even more valuable, you’ll get a free vendor matrix for evaluating solutions. Plus you’ll find a workflow diagram to help you stay on track throughout the entire migration process. This resource is more than just a whitepaper or report; it’s a step–by–step guide that walks you through the entire process of moving your retail management system to the cloud. It doesn’t just present theories and best practices, it outlines concrete steps and real–life examples. Vend’s Australian Retail Guide also features commentaries from IT experts and cloud integrators, so you’ll be learning from individuals who have first–hand experience in moving to a cloud–based retail management system. Is this guide about switching to Vend? Not at all. This guide is vendor–agnostic, and it’s sole purpose is to help YOU move to a cloud–based retail solution, regardless of which provider you choose. With that in mind, if you do want to learn more about how to migrate to Vend in particular, you may visit our Help Center or reach out via email. I own a small business. Is this guide right for me? While small businesses can learn a lot from this resource, it’s mainly geared towards merchants who have 3 or more stores. If you’re working at a smaller scale, we suggest you download our POS Buyer’s Guide instead, since this resource provides information that’s more relevant to small businesses. I’m not from Australia. Should I download this guide? While this handbook contains information that would be useful to all retailers, many of the examples and trends it presents only apply to Australian retailers. If you’re from another country but still want to learn about migrating to a new retail solution, we recommend you check out Vend's Definitive Guide to Upgrading Your Retail Management System.